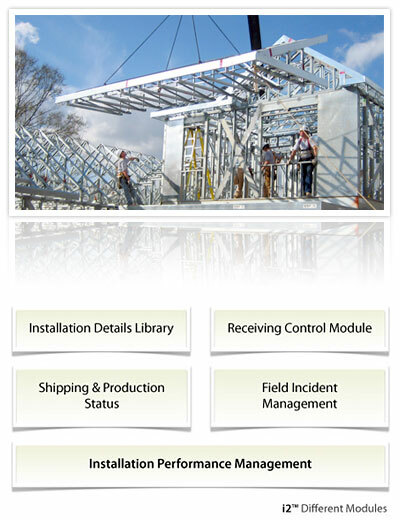 Installation and Field Management is a very isolated function in the LSF lifecycle. Today's environment is very ad hoc with limited controls and processes. It relies heavily on the knowledge and experience of skilled tradesmen that have taken years to learn their craft. With our engineered LSF solutions, it is important that the same process and quality controls we apply in the manufacturing process are also visible and implemented in the field. GenesisGS i2 allows our Installation Partners the ability to access real time data and information about product from GEM, therefore, extending the GenesisGS value stream. Access is available 24/7, from anywhere there is an internet connection. GenesisGS i2 is scheduled to be released in a future version of inSITE.